Here at Tile Town, we are massive fans of any products that give an aura of splendid grandeur without costing the earth. 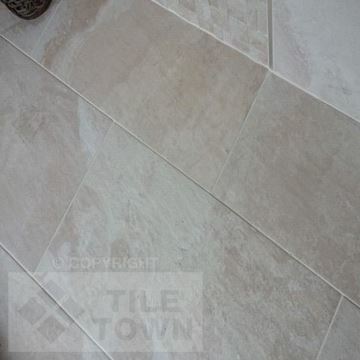 With slate effect tiles, that’s exactly what you get. A beautiful twist on the traditional floor tile, they give your home the stunning look of slate with all the benefits of tiles. It really is the best of both worlds. 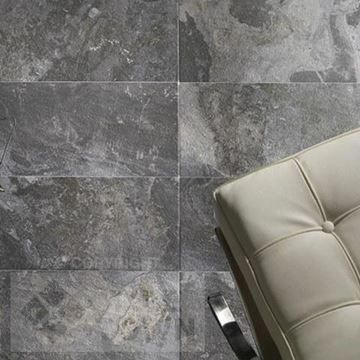 Our range of slate effect tiles uses the latest digital technology to produce a stunning reproduction of the real thing. Thanks to the advanced methods used in manufacturing, a range of designs and shades are created, giving you a majestic floor, whatever your specific tastes. 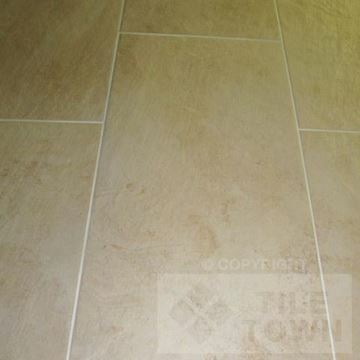 There’s a whole host of reasons this type of floor covering is a very popular choice throughout the whole of the UK. 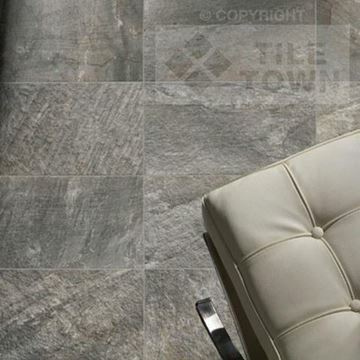 With durability and versatility at their core, these tiles are able to transform the appeal of any room. Whether it’s a kitchen, bathroom or anywhere else, instant charm comes as standard. On top of this, cleaning is a doddle. In most cases, a simple wipe clean is sufficient. For tougher marks, a once over with a mop is usually more than sufficient. That goes for everything from food and drink to mud and dirt. 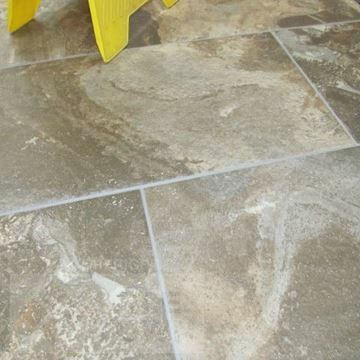 There’s also the fact that slate effect tiles are waterproof. One of the biggest benefits of using this imitation material versus the real thing is the fact they require absolutely no sealing. That’s a huge advantage when it comes to installation and protecting sealants, which can be tricky sometimes. Suitable for just about any environment and incredibly attractive, simply take a look through our impressive selection of products and you’ll find the perfect flooring for your project. 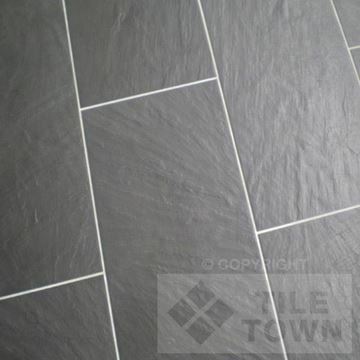 Modernising a tired bathroom or adding class to an outdated kitchen is easy with these slate effect floor tiles. We offer an extraordinary range of finishes, textures and patterns that can provide you with the envy of everybody who visits. Tile Town supplies to the trade and to the public, meaning it doesn’t matter if your project is a brand new build or a reimagining of a room – we’ve got you covered. All of our products are displayed here on site for you to see in their glory. However, if you’d like to get a close up, please come along to one of our showrooms. You can find us at either of our two locations and somebody will gladly take you through our gorgeous range of slate effect floor tiles. We have the largest selection of products in Derby and the East Midlands. There’s always an expert on hand at both our Derby and South Normanton locations. If you need advice or tips on your tiles, or your project as whole, we’d be happy to help. You can then take your new tiles away the very same day – perfect convenience. Of course, if you’re a bit too far away to visit us, don’t worry. We offer fantastic delivery options to make sure your project doesn’t get held up. Quick delivery and free over £150 to selected parts of the UK, you could soon be marvelling at your newly formed floors, complete with slate effect floor tiles.